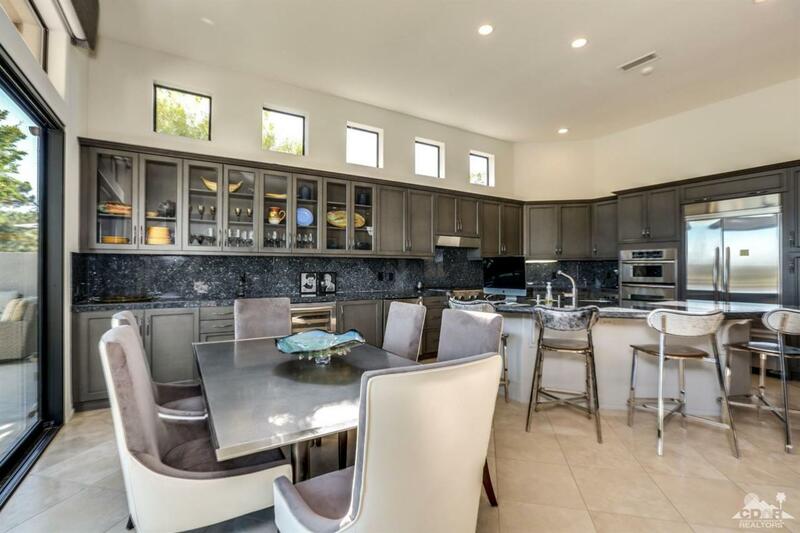 Modern Mission Hills Pool/Spa Home...offered furnished! Great location in Stone Ridge Estates, looking out over three fairways and a driving range...you'll love the privacy! 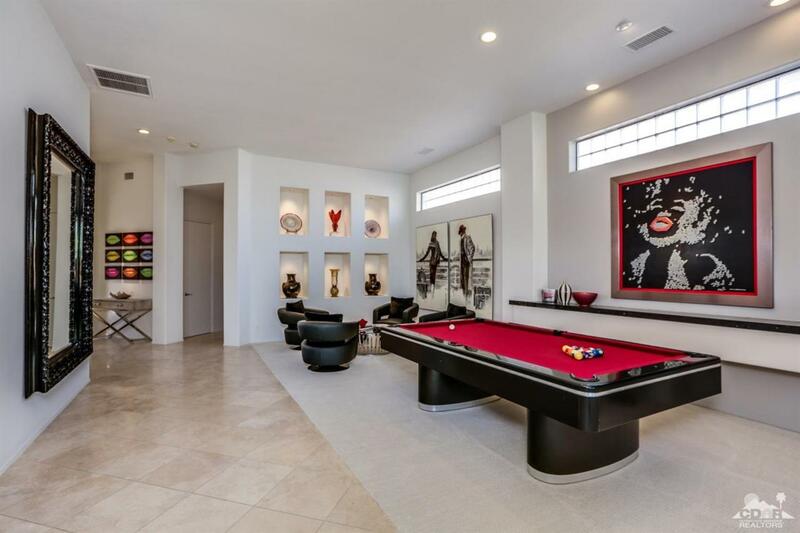 The open floor plan features the kitchen, media room and dining room.all right off the living/game room! You'll find stainless appliances, granite counters, gas range and separate wine + bar refrigerator in the kitchen area. 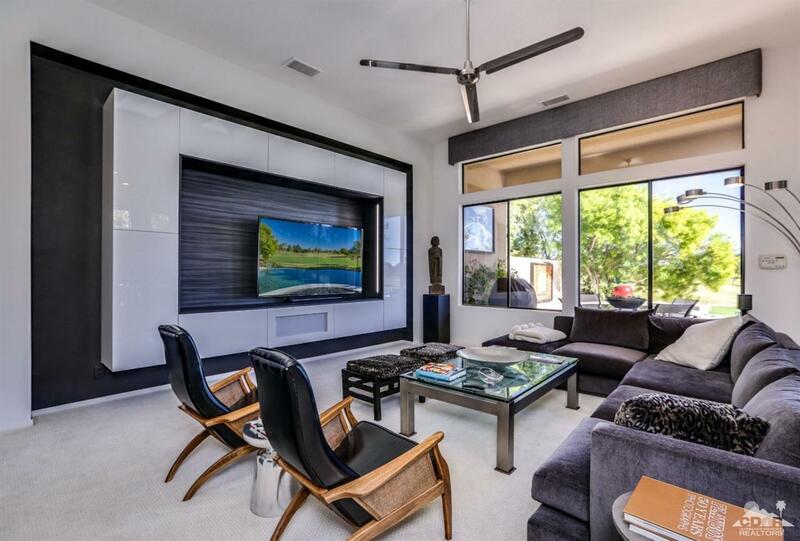 There are electric solar shades, a fantastic lit media wall and a wet bar. Outside the spacious tiled patio with pool & spa, wander around to the shady side yard and private front yard with dining space just off the master and guest room. Sit and have coffee in the morning sun! There are three ensuite bedrooms. The master features a fireplace and walk in closet. This home is ready for you to move in & start entertaining immediately! This home is on Fee land - NO land lease. 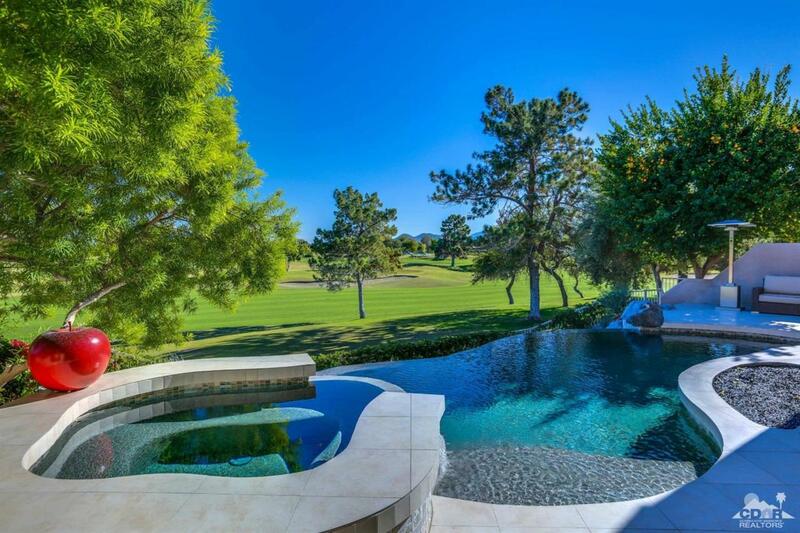 Mission Hills CC Social + Fitness membership is included in HOA dues. Listing provided courtesy of Terri Munselle of Hk Lane Real Estate.